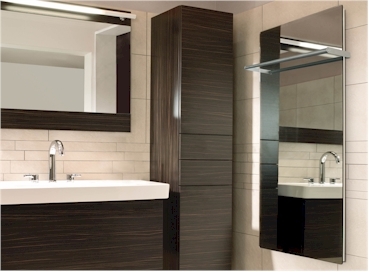 Your bathroom mirror as infrared heating! The panels can be deliverd with remote controled thermostat and led-lights for more comfort and practicality. Infrared does not heat the air primarily, the floor, ceiling and walls, yes even objects in the room are heated and they on their turn release the warmth to the room. Resulting in a comfortable environment and a feeling of well being.